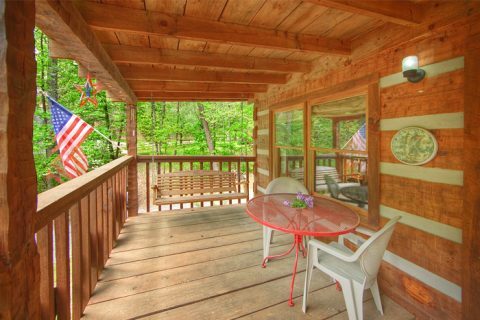 Searching for 1-bedroom cabin rentals near Gatlinburg? "A Love Nest" provides the perfect destination for those planning a vacation getaway near Gatlinburg, Pigeon Forge, and the Great Smoky Mountains National Park. 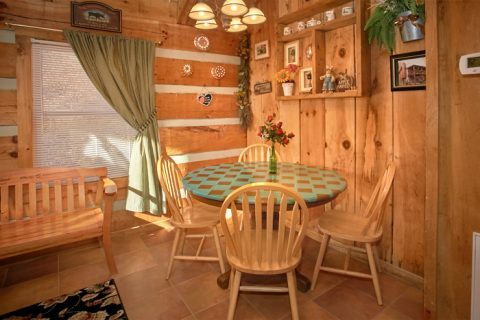 With top destinations only minutes away from this cabin, guests can enjoy all the fun and adventure that Pigeon Forge and Gatlinburg have to offer, including Dollywood, Ripley's Aquarium, Dollywood Splash Country, Ripley's Believe It or Not, Hatfield and McCoy's Dinner Theater and more. 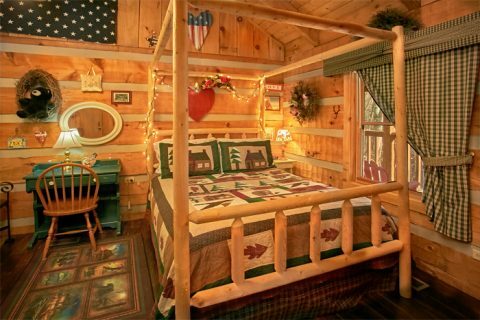 In addition to an ideal location, this cabin boasts plenty of features for a relaxing vacation stay. 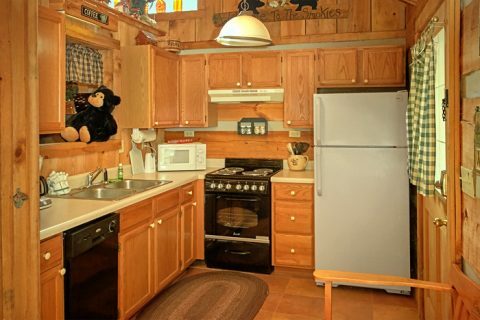 Enjoy a full kitchen and a grill for making romantic dinners in your rental. 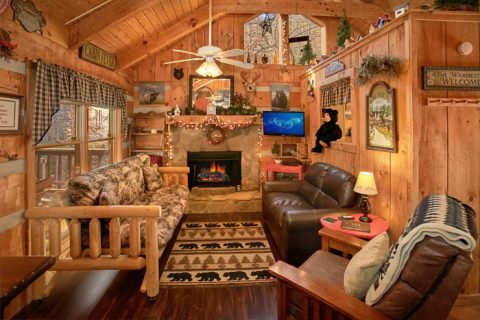 Your cabin's fireplace is ideal for staying cozy with your special someone. 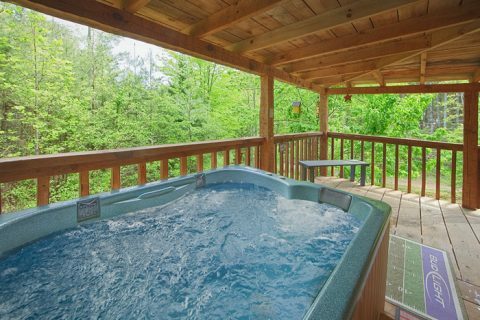 A bubbling hot tub on your cabin's deck is the perfect spot to enjoy your rental's views. 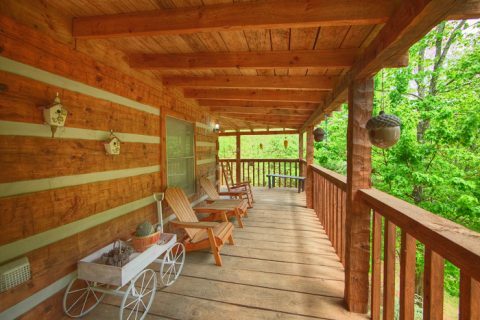 Sit back on your rental's porch to unwind in your cabin's forested surroundings. 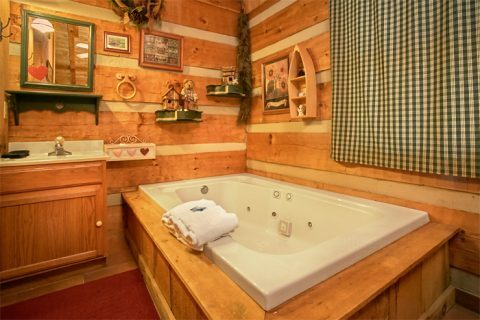 For private relaxation, take advantage of the jacuzzi tub in the master suite for an evening of relaxation and romance. 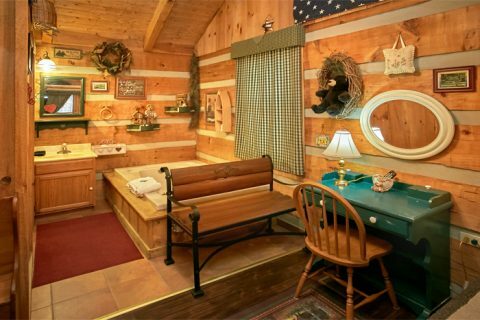 With these cozy amenities and great location, "A Love Nest" is a cabin well-suited for anniversary trips, a honeymoon, or a spontaneous weekend away with your sweetie. 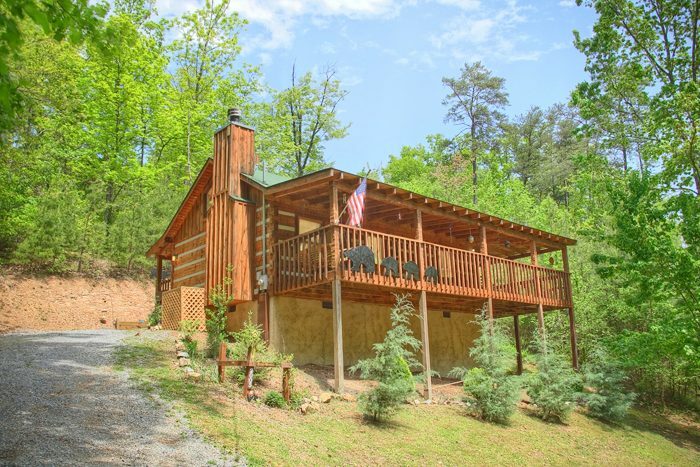 Nestled in the gorgeous Wears Valley area, this cabin gives you plenty of privacy in nature. In addition to luxurious accommodations, you can enjoy practical amenities, too. 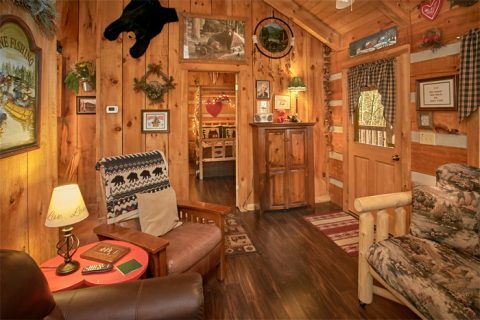 Your cabin offers WiFi and on-site laundry for your comfort and convenience. 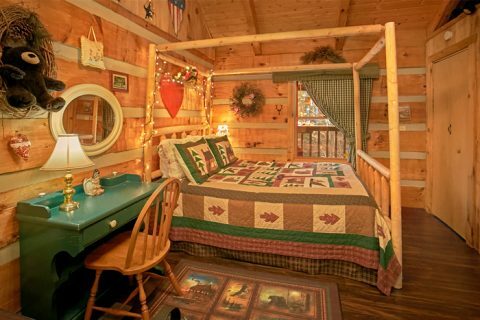 If having a cabin with top-notch amenities wasn't enough, you'll also be booking a convenient cabin for exploring the area's top attractions. 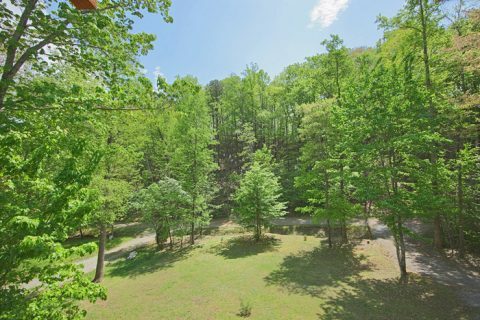 From Cades Cove in the Great Smoky Mountains National Park to downtown attractions like Ripley's Aquarium in Gatlinburg, you can see it all from your cabin that's close to all the action.